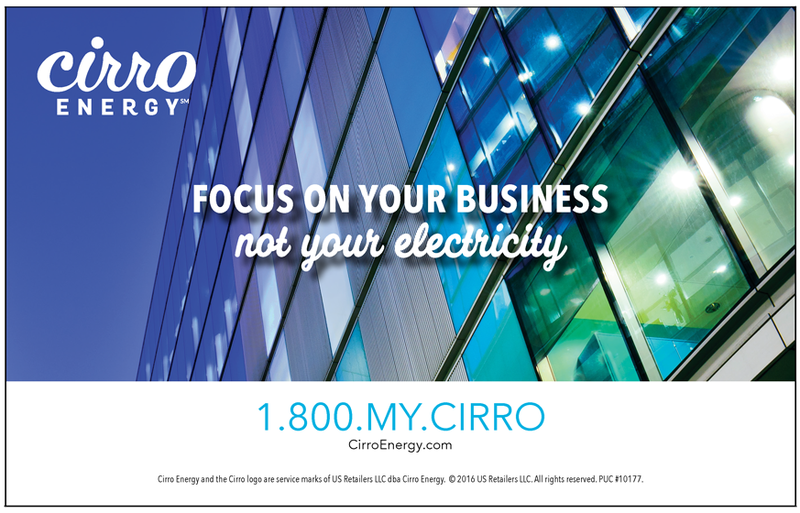 Cirro Energy, a part of NRG, asked us to design a sales kit for their representatives. 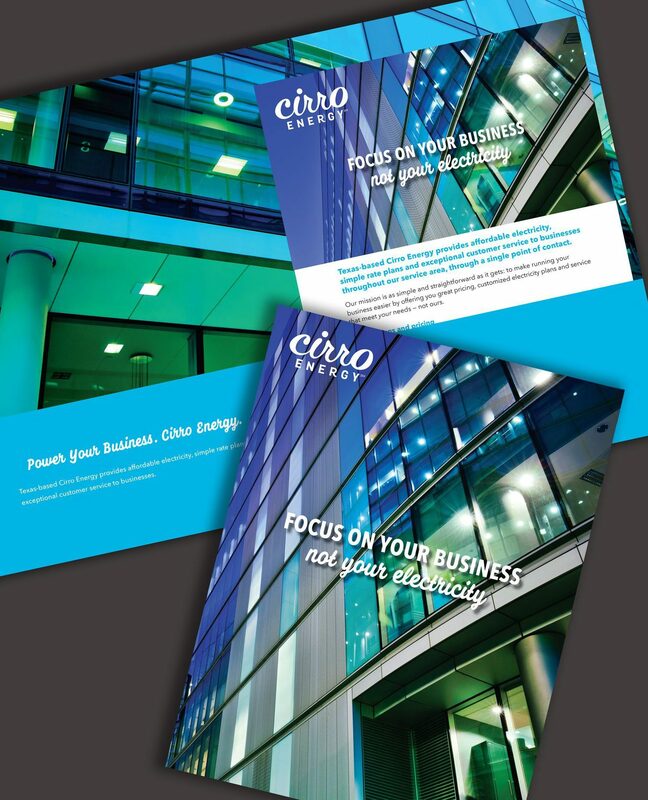 We developed a user-experience folder and insert that briefly outlined the company’s services for their commercial audience. Denning & Denning then designed an online advertisement follows the look and feel of the campaign. 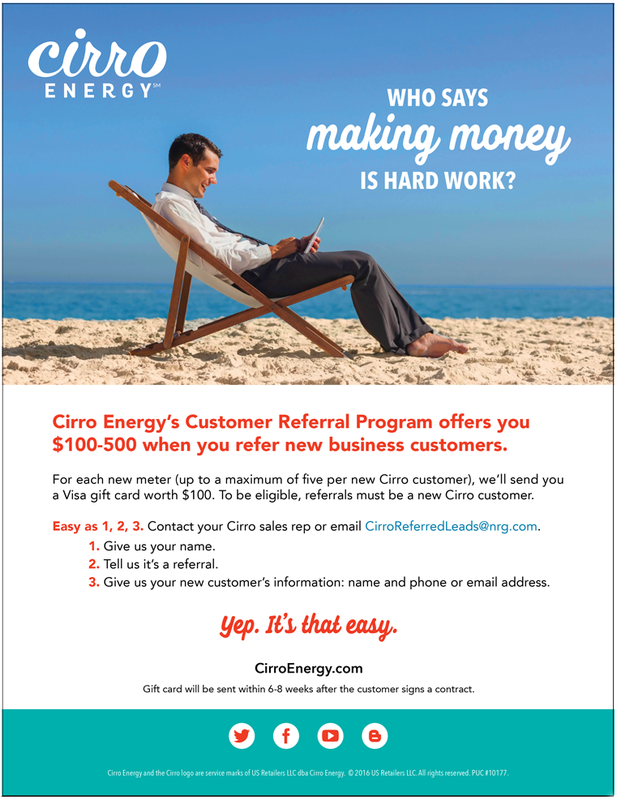 As a separate project, were were approached to design an e-blast, flier and bill insert for their customer referral program, which rewarded existing customers who referred new clients to Cirro Energy.